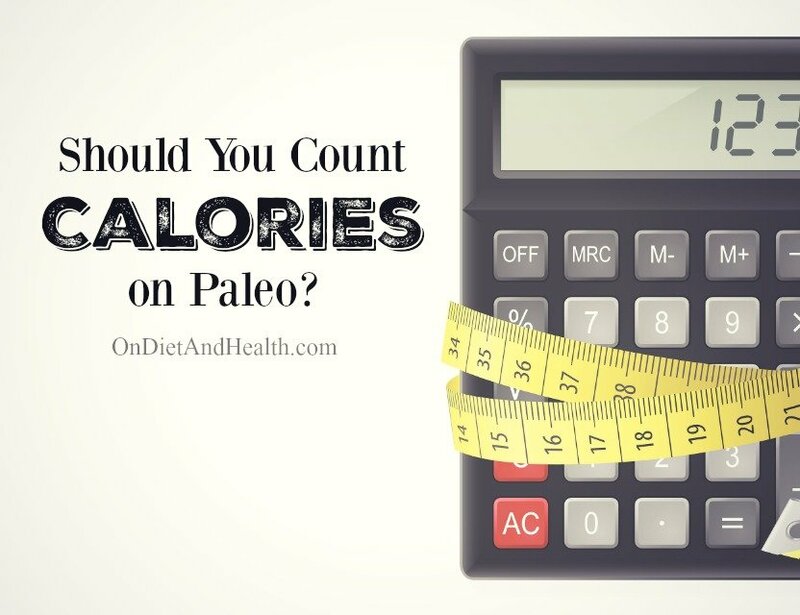 Need a quick check on calories in Paleo foods? Those sweet potato fries and almond flour muffins could be why your weight is stuck – not a thyroid issue after all. You don’t need to weigh your food or go back to the old calorie obsessing days! The days of 1200 calories of suffering for weight loss is gone and there’s an easier way to keep track! And it IS useful to know where you stand. Some of us don’t get enough calories on Paleo. 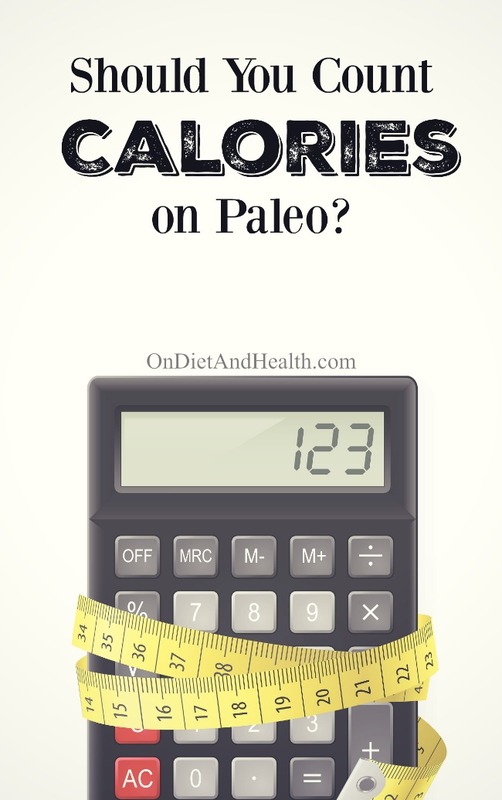 Here’s an article on getting enough calories in paleo to check that out. 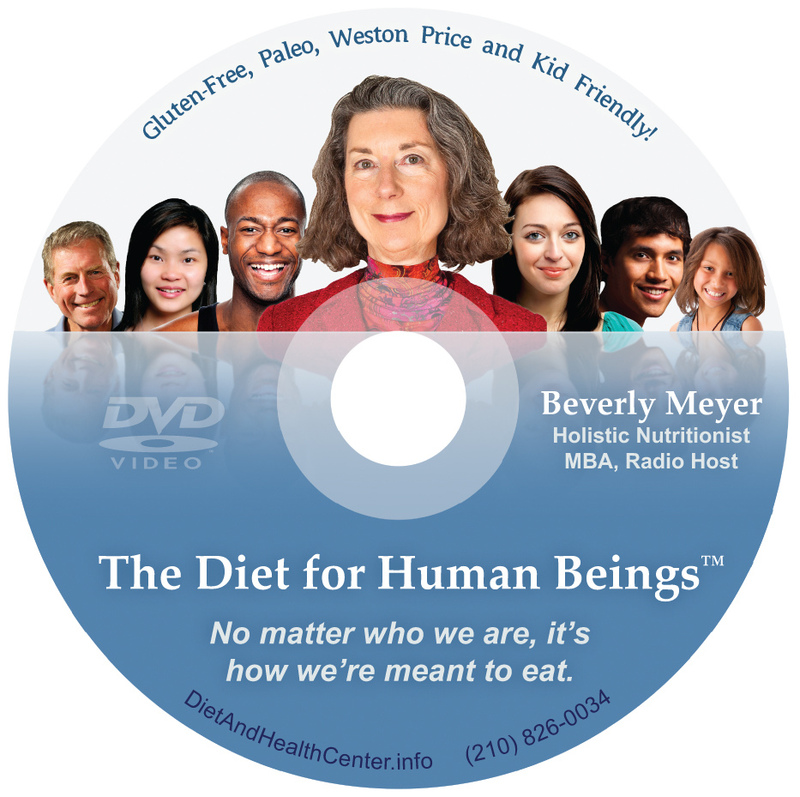 The Diet For Human Beings (my Paleo Diet DVD) suggests not counting calories in general. Paleo is all about feeling satisfied with healthier fats, more vegetables and less starchy and sugary carbs. I’d rather get 140 nutrient dense calories from 2 pastured eggs than from half a donut. No doubt about that! 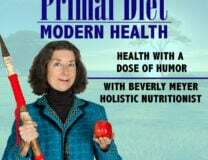 We know to avoid high starch, high glycemic foods such as juice and grains. Some of us need to avoid tubers and fruit too as they’re too sweet for us and cause blood sugar cycling. I stick to proteins, fats and tons of vegetables with a handful of fruit and no starchy carbs such as tubers. Even a bit of wine is too much carbohydrate for me. Fat calories are extremely nutrient/energy dense but generally contain few vitamins and minerals. A tablespoon of pure fat goes a long way. Just the opposite of the 2 big bags of vegetables I eat every week! 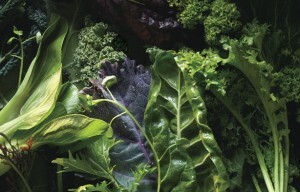 Veggies are mineral and vitamin dense, but not calorie dense. This is why traditional calorie counting doesn’t work when you eat grain-free and sugar-free! Here’s my short-cut way to check your calories…. What’s the normal range of calories? Most women aim for 1800 to 2000 calories a day as a basic goal. In the third trimester of pregnancy or if you’re an athlete, this might increase to 2500. Men can shoot for 2400 calories a day, unless really active (3000) or really sedentary (2100). Older teens boys and avid male exercisers of all ages may need as much as 3000 calories a day. This article is for those teen athletes. Here’s an easy way to check your calories without weighing them: a 2000 calorie day and a 3000 calorie day to compare. What’s your day add up to?? Note the amount of vegetables you should eat every day. Buy a big steamer and use it frequently! I love this 12 Quart stainless steamer and couldn’t cook without it. Veggies are mandatory! Here’s one day’s food for really active men and older teen boys. I allow this group sweet potato while the 2000 calorie Day does not. Sorry about that, but less active people usually don’t tolerate concentrated starchy carbs! Some athletes do eat very low carb and high fat. They would avoid the sweet potato on this list but eat everything else, as well as more fat. But I am not convinced that Keto is a long term lifestyle or is suited for average unhealthy people…. especially women. The concept is simple but it may be hard for long time calories counters and dieters to remember. All calories are not equal. The high glycemic calories in pasta, juice and alcohol raise blood sugar and triglycerides. They are stored on the body as fat, especially around the belly. Low starch, low sugar foods allow us to run on protein and higher fat foods for fuel, the way we evolved eating animals, their fats and organs. It’s a slower burning fuel that keeps our brain and body energy consistent. Choose the protein, fats and veggies over the bread, beer and corn chips. Your body shape and lab work will confirm you made the right choice.